Junior Allison Schaefer came out of the gates strong this season, being nominated for Big East defensive player of the week after totaling 15 saves and having a save percentage of .750 against James Madison University and Duke University. “It was really cool to be nominated and picked for that,” Schaefer said. “But it is still only the beginning of the season and we still have a lot of games left up until November. The goal is to continue working hard and get better every single week.”. In regards to a major and future career, Schaefer remains unsure. As a player Schaefer sets the bar high with her goals, but most importantly she wants to be the best teammate she can be. Schaefer believes the team has a great foundation, both on and off the field. 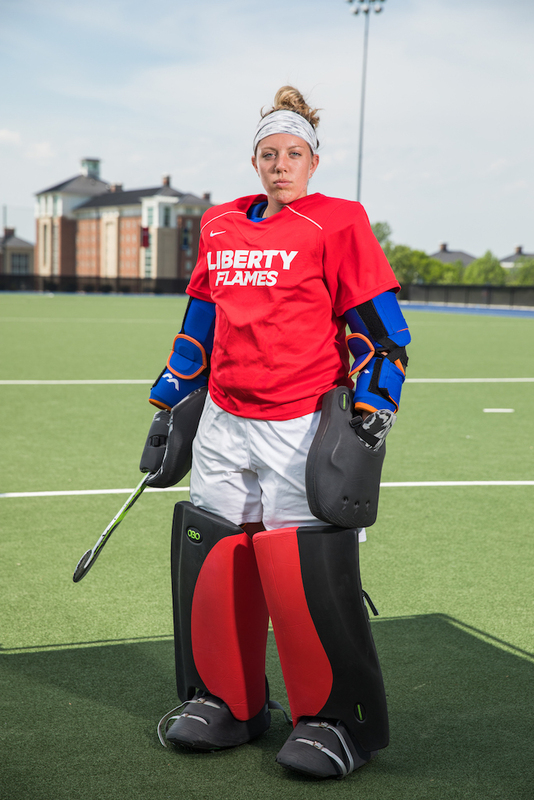 Last season, Schaefer became Liberty’s career saves leader. However, she was not aware of when it happened. Despite her career already being immensely successful, Schaefer still feels there’s aspects of her game she can improve on. Schafer fell in love with Liberty University very quickly, and it felt like home from the start.